Over the weekend, One Of My Wine Glasses Broke. Again. You may recall, I only keep Two Wine Glasses in my apartment. Mostly, this has to do with Limited Cabinet Space. Of course, I live by myself, so I could probably get away with Just One Glass. But, long ago, I read that Owning Just One Wine Glass was Bad Karma. Or Foul Feng Shui. Or Something Else Awful That Is Mysterious And Ancient. It meant that you never expected any Company. One Glass meant that you would be One Forever. I always take All The Ancient Wisdom I Read About quite seriously. So, I have always owned Two Wine Glasses. Which, I have to admit, is pretty darn convenient. This way, I don't have to wash The Dirty One every day! I can just drink out of The Clean One! Incidentally, that is how I have come to refer to My Two Wine Glasses: The Clean One and The Dirty One. Oh, you know, sometimes, A Boy wants Wine and I Use The Clean One. But, mostly, they just want Beer. And then they Use The Can. Unfortunately, with One Glass Broken, I now had The Clean One and The Broken One, which would not do. So, when I saw The Broken One, my first thought was, "Well, shucks. Now I guess I have to trek on over to Crate and Barrel and pick up Another Replacement Glass." Actually, that is Not True. My first thought was, "Yippee! Now I have A Terrific Excuse To Go To The Mall!" Regardless, I had to replace The Broken Glass because All The Ancient Wisdom I Have Read And Taken Quite Seriously has stated To Not Replace The Broken Glass would be Very Evil Bad Luck. However, then, I remembered what happened The Last Time I went to Crate and Barrel to replace The Broken One. As he rang me up, The Sales Clerk had inquired with a wink, "Break A Glass?" Because, apparently that could be The Only Reason for purchasing Just One Wine Glass and, although I was grateful for The Clean Glass back home, I came This Close to telling him, "No. I am Perpetually Single and have No One to drink out of Another Glass and there are Positively No Prospects! None! Zilch! Nada! I shall be Single For All Of Eternity! Hence, I only require One Stupid Lonely Wine Glass!!!" Afterwards, I would break down into tears on a nearby brown and beige geometric-patterned bathroom rug. There is No Way I can go through that Shameful, Albeit Imaginary, Experience again! Therefore, I have elected Not To Follow All The Ancient Wisdom I Have Read And Taken Quite Seriously and I am Refusing To Purchase A New Wine Glass! That's right -- I shall have to wash out The Dirty Glass every night now, if I want to enjoy A (Mildly) Delicious Glass Of Two Buck Chuck! Not only that – I am Boycotting Crate And Barrel and Their Stupid Friendly Winking Sales Clerks! Well, at least I am Boycotting Crate And Barrel until I register for My Wedding, if I ever actually Meet Someone, Fall In Love and Finally, Eventually, Someday Soon Please Get Married. Although, let’s face it --I will probably go with A Williams-Sonoma Registry, instead. So, for now, I shall refer to My Lone Wine Glass, not as Clean or Dirty. No, instead, it will be called, The Single Glass. And I promise, Ancient Wisdom People, I will Try Really Hard to see The Single Glass as Half Full, not Half Empty. but more importantly, i would like to comment that i ALWAYS make that "so, you broke one?" comment to people who only buy one glass. we're actually looking to hear the hilarious story of how you were a little tipsy and enthusiastically telling a story and whoops! there went the wine glass. so i think the cashier might have been hitting on you! attractive woman who is so fun she breaks wine glasses - i must meet her! Holiday employment reject has a point, I think. It's what I would do. It's the perfect coversation starter. Holy crap! I just shattered one of my wineglasses by bumping it off the edge of the sink while pouring some candy into a cup. 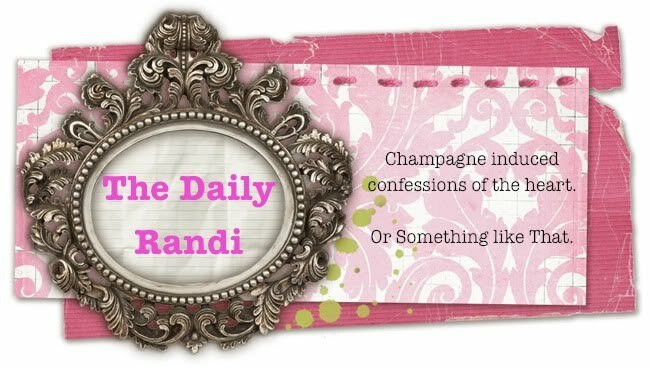 Perhaps, karmically, I deserved it for being mean to the previous poster, or maybe... thedailyrandi is a WITCH! I can assure you, I am Not A Witch. I can, however, identify The Evil Eye when I see it. That said, I think you are being Too Hard On Yourself. But, do cut down on The Candy.